Discussion in 'iPhone and iPad Games' started by Eli, Apr 6, 2016. 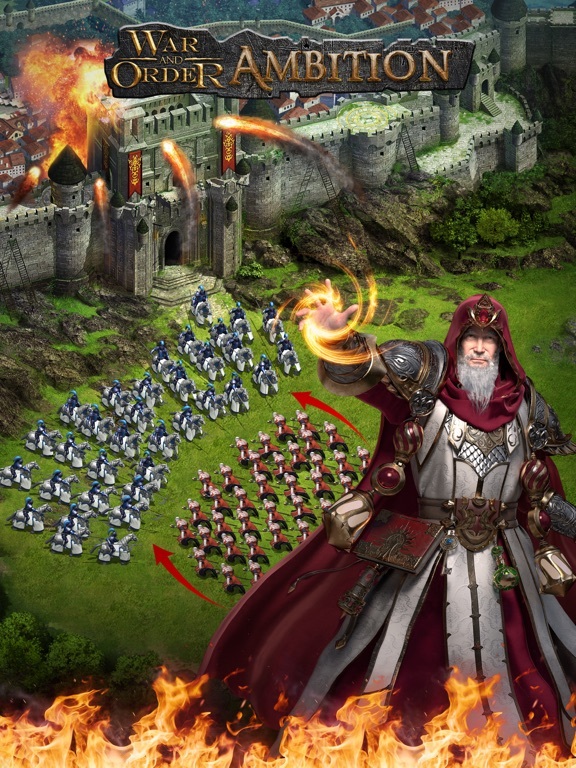 THIS is the new action-packed strategy game you just can't wait to play! Command orc knights, elf sages, dragon riders, and other incredible fantasy soldiers in a war-torn multiplayer epic. 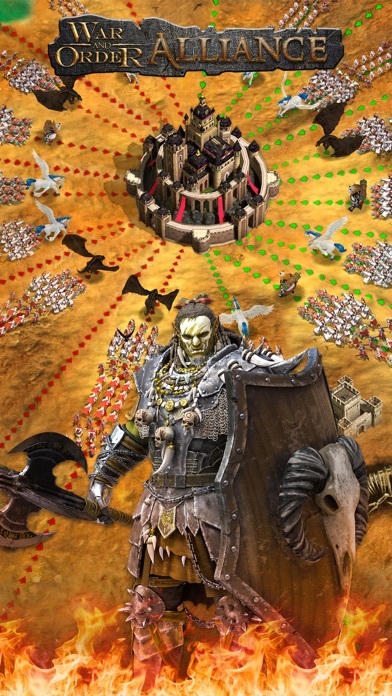 Clash with enemies from around the world in real-time in HUGE, spectacularly animated battles! Call on your allies to rush to your aid and repay them with your undying loyalty. You won't be able to put it down as your screen lights up with constant new battles, chats, and upgrades! You must battle to become more powerful than any king before you! But you can't do it alone. It's up to you and your allies to fight, expand, and build together as you conquer an endless world of empires and imagination.  Recruit and train over 30 unique soldiers. 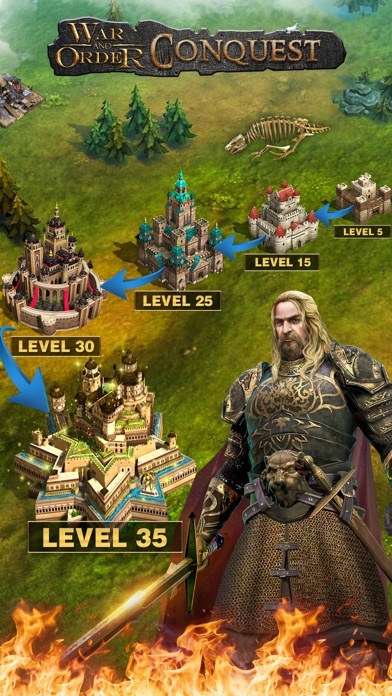  Construct and upgrade tons of buildings for new soldiers, buffs, and resources!  Research new technology FAST for cutting-edge tactics and weapons!  Friend, feud, and chat with players from around the world in real time.  Help each other build and expand your cities faster.  Rally together to take down enemies you could never face alone! 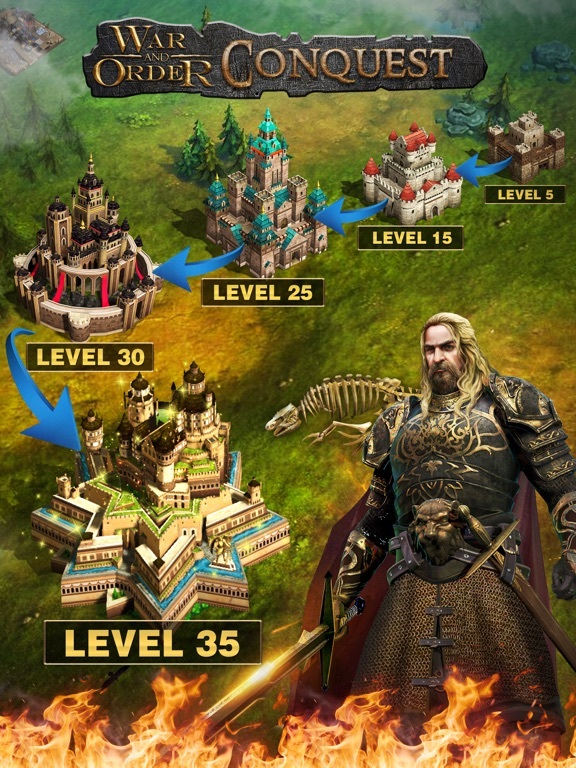  Share and expand territory to enjoy exclusive buildings and bonuses! 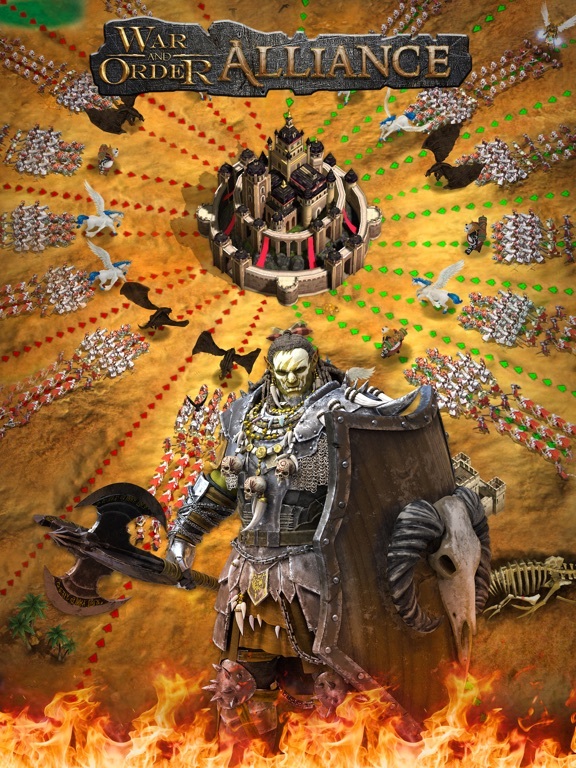  Sweep the battlefield in huge real-time PvP matches!  Build your force to leviathan proportions! 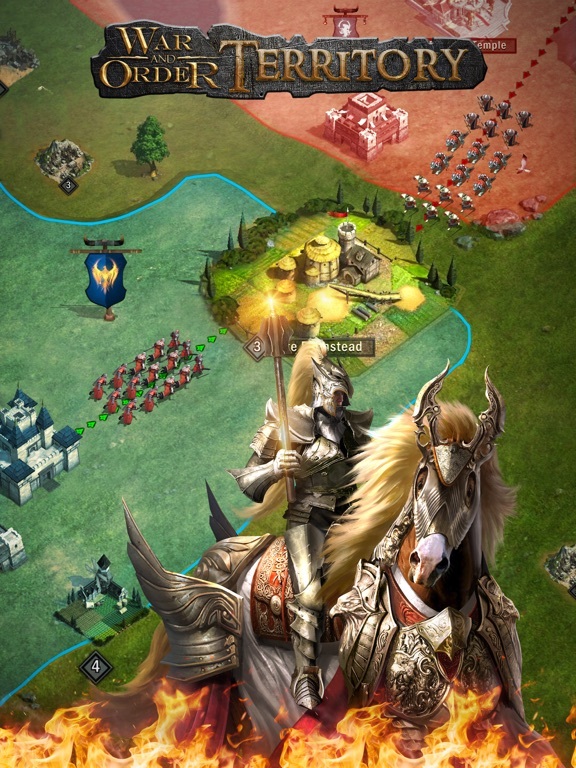  Engulf other lords' castles as you expand your territory. 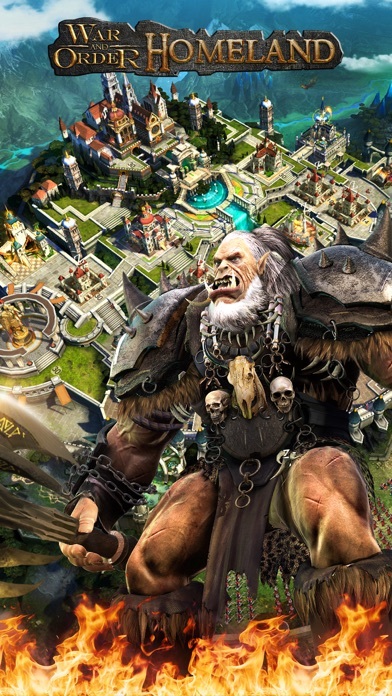  Attack other player's castles to plunder their resources and climb power rankings!  Vanquish roaming monsters for their treasures, from man-eating Ogres to massive Dragons.  Take over the Royal City to rule over the realm with unheard of power and privileges! 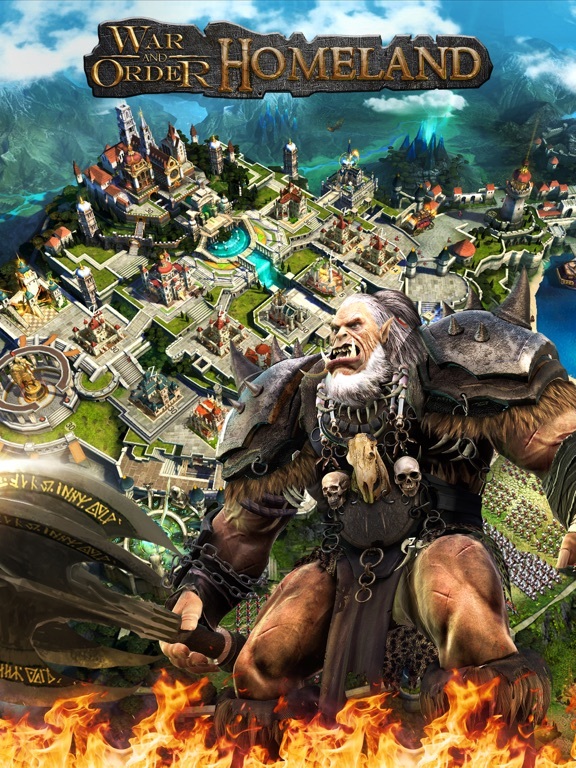  Explore unknown lands to find elite resources, ancient ruins, and more surprises! 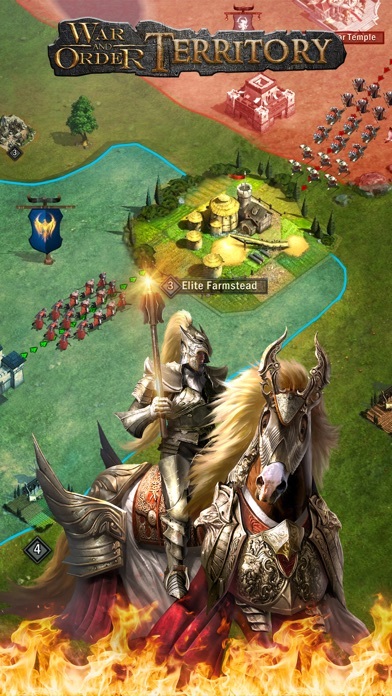  Grow your alliance territory for richer rewards and resources! Was hoping for a good city builder with RTS combat. But it's pretty much just another Game of War clone. That's kind of what I figured, but posted it just in case it wasn't. Nope. Thanks. I'd rather play some game. Apparently, you didn't catch last weeks article showing the amount of revenue GoW generates. In fact, it is exponentially higher than any other game. Apparently, you are a minority, and based on the amount of money spent playing it, "we", cant get enough of it. So, brace yourself. Those kind of statistics only do one thing: cause every developer without an original idea, to clone it. This game has huge potential. It IS a CoK/GoW clone but has some differences regarding tactical aspect. It's highly defensive based which at least allows non spenders chance to grow however it its badly written which has allowed for a lot of glitching/Cheating to go on. They do try to correct these issues but that has resulted in more being created. There is very intermittent fun but primarily it's frustrating and boring. This game was not ready for release and they never did any Beta testing and I very much doubt any real Alpha testing was done either. The support response is extremely slow, weeks to reply to one of my tickets and when they did they gave generic reply not relevant to the issue I had asked about. I was leader of number 1 alliance on realm 3 and I spent heavily on this game and wish I hadn't, the cheating can set even a gemmer back weeks and for non spender that time could be months. I would not recommend this game if you want to actually relax and have fun on a game, it can be extremely time consuming also which results in working people being at massive disadvantage, The in game purchases are very expensive and often of no use as they don't work. (Peace shields, widedrawl cards, etc). I hope they fix the issues as it does have potential however until then it's not worth playing let alone spending money on. It basically gives us both some extra benefits. See ya in-game! Use this code, so we both get bonus stuff! This morning 10-25-16 Camel performed a server update. Ever since then, I am unable to get into the game on my droid. it even locks up my phone. WTF. Why is the ad for this game, gameplay from "The Forest"
So im just browsing on youtube and i see an ad and the gameplay looks exactly like a game on steam called "The Forest". I know this because of the way the character could only hold 2 logs at that and made a cabin i remember from playing. Like? Why are you advertising your game with the wrong gameplay of a different game? 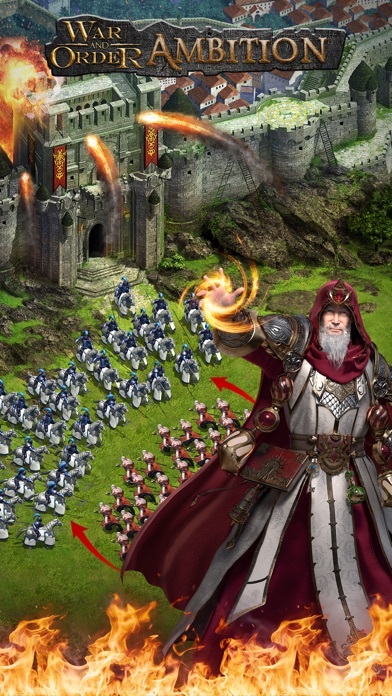 War and Order (WaO) is an excellent online game supported by impressive graphics and nice gameplay. The developers have done a good job. However this game has been flooded by massive numbers of player from China and they ruining the game with their racism, genocide and bully attitude. They do not mix well with other players in different country. They will formed alliance of their own and gang up other players. This game has been invaded and dominated by them and is not fun to play by other players from different region anymore.